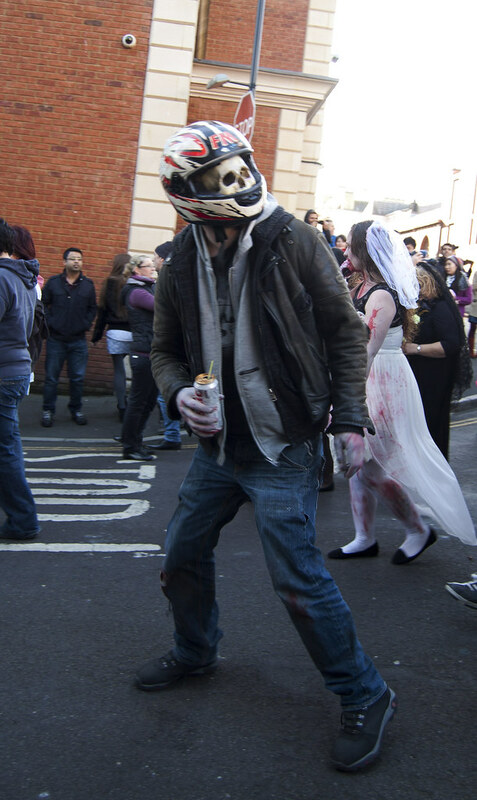 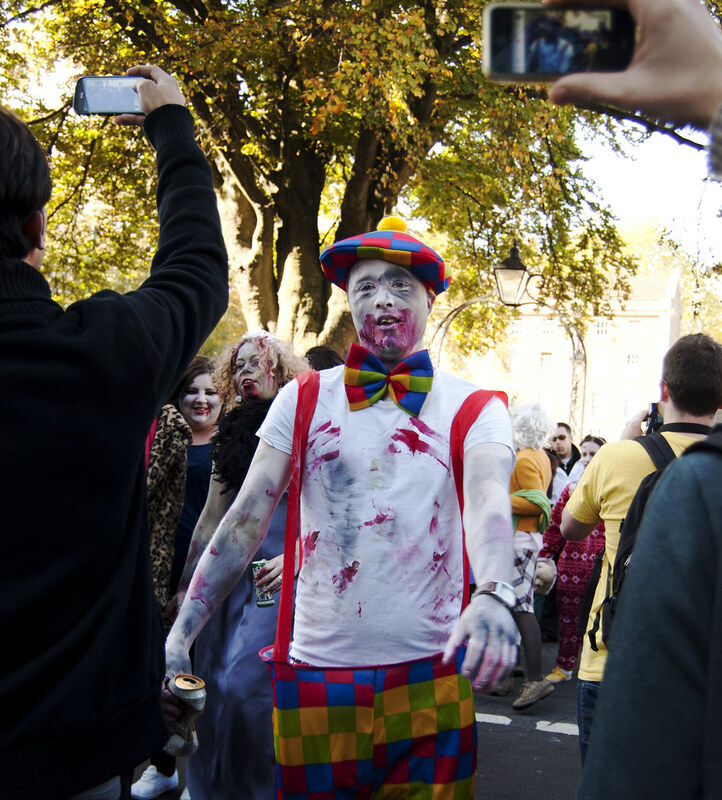 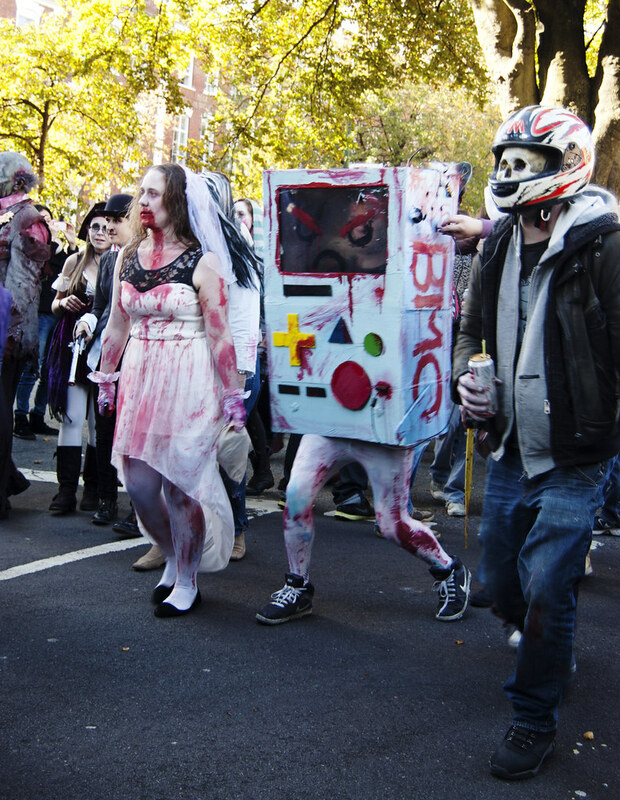 On Saturday it was Bristol Zombie walk, and as we were heading in to town we managed to watch all the ‘zombies’ being herded in to King Square (just off Jamaica St) and leave to be zombies around the centre of town. 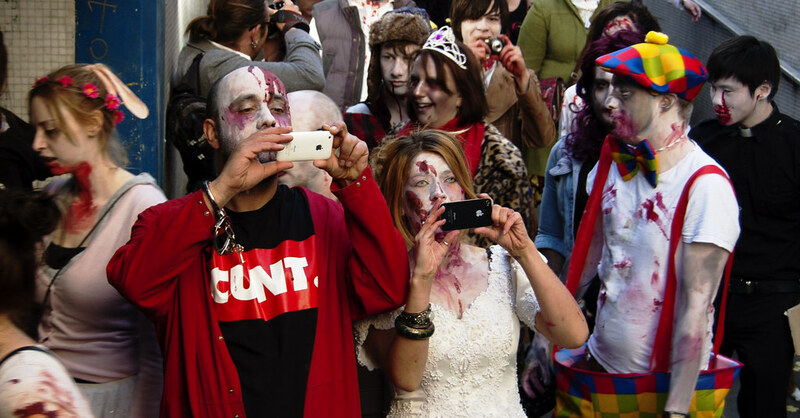 Zombies may be the living dead, but they still prefer iPhones (and offensive t-shirts). 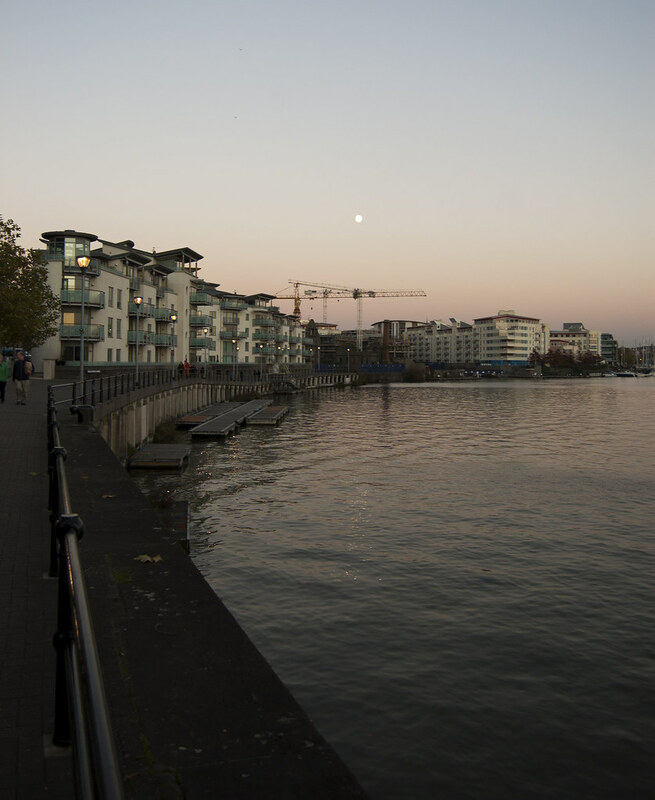 Coming soon…the write-up on Tony and Gower’s attempt at the Atomic Burger Fallout Challenge.